Customer’s around the world are starting to receive their Chiron Sport hypercars with this black and blue example being one of the very first. It has been fitted with a huge number of personalised options for it’s owner, Abdulla Bin Fahad of Qatar, and certainly stands out with this bright and bold spec. 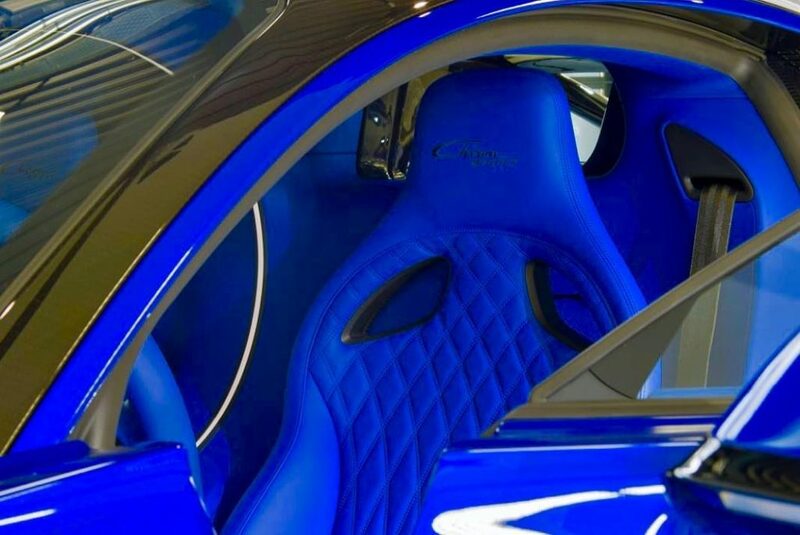 A deep shade of blue is contrasted by a carbon fibre black rear end. 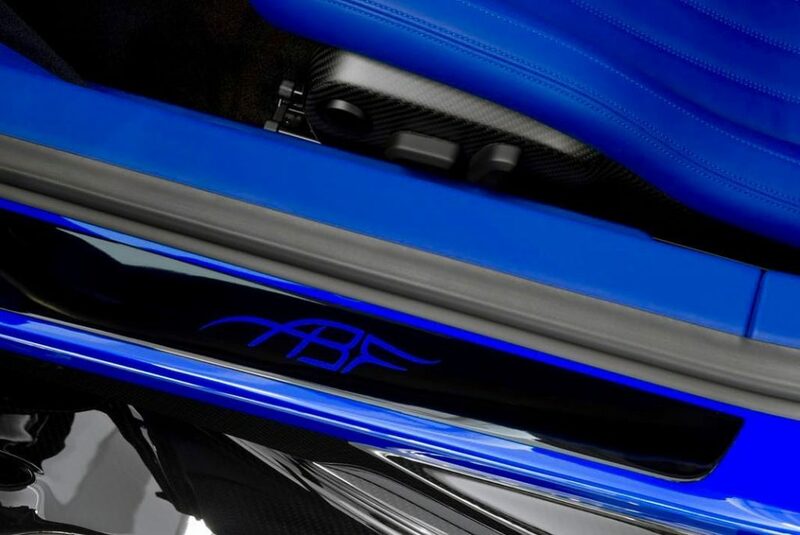 Touches of blue have been applied to the rear diffuser, engine covers and rear Bugatti logo and light surround. The brake callipers are even finished in the same blue. 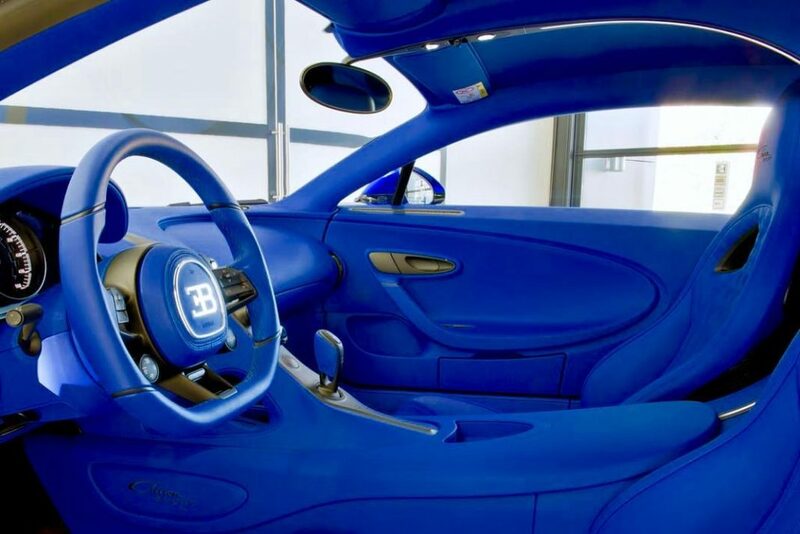 As you can see, it is very blue inside as custom touches have been applied to most surfaces. 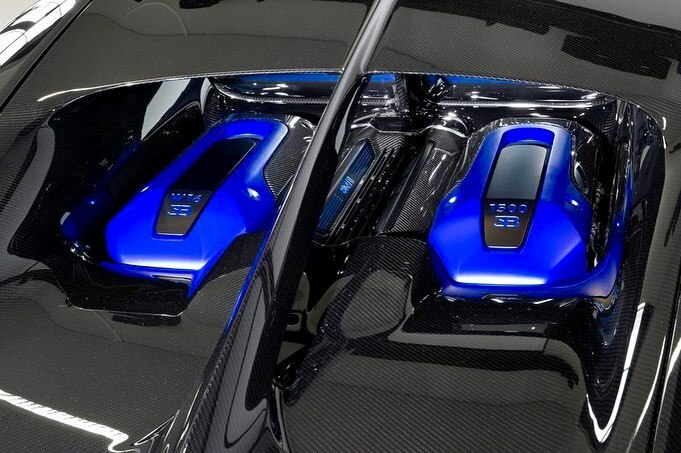 The entire interior is a very bold shade of blue with what looks like contrast bronze facias. 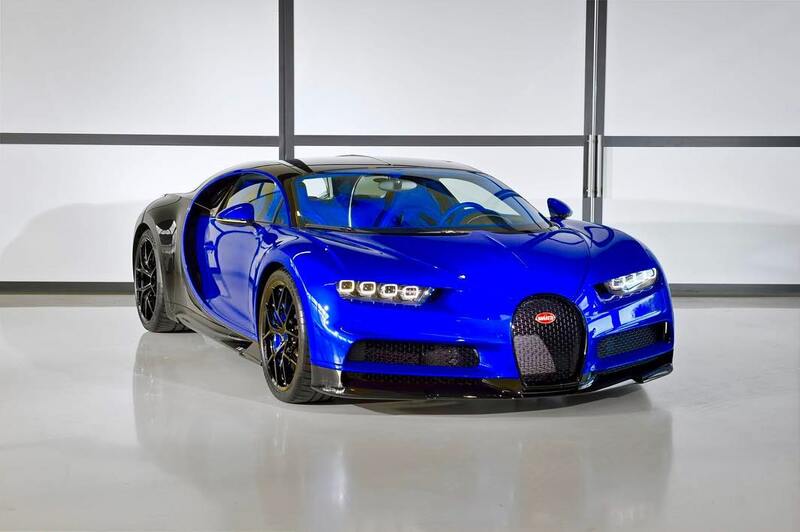 Interestingly, this particular Chiron has not been ordered with Bugatti’s glass roof, another of Bugatti’s recently revealed options. 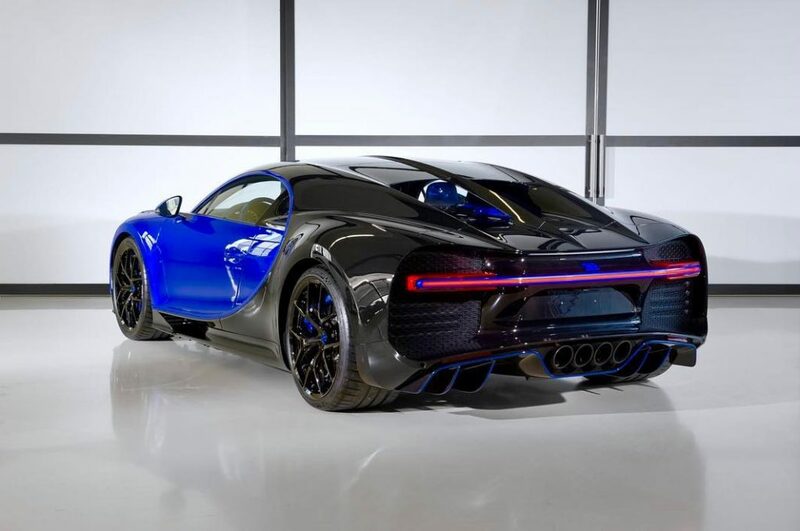 As a reminder the Chiron Sport was revealed at the Geneva Motor Show last year to give owners additional performance refinement, 18 kg less weight and a torque vectoring function. How does one tell it is the Sport model versus the regular model? 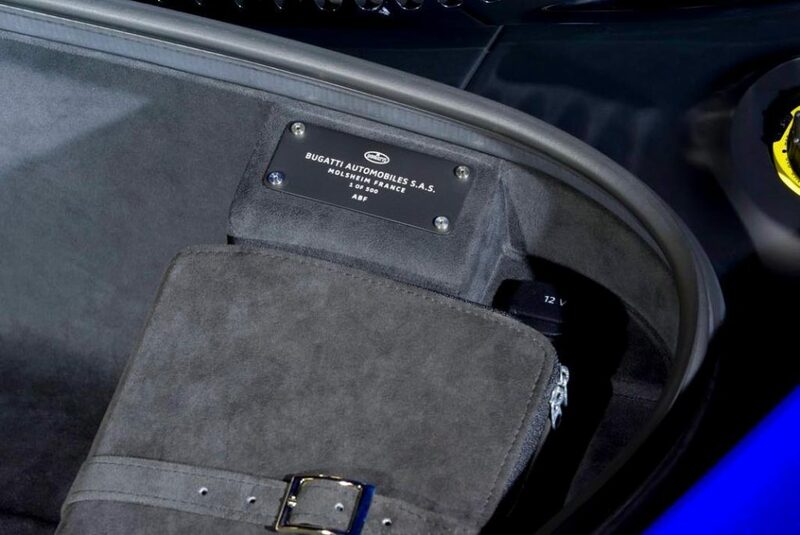 There is a new wheel design and four-pipe exhaust deflector but if you manage to get up close and personal then you will notice the Sport gets carbon fibre windscreen wipers.